Lake Tahoe is the second deepest lake in the U.S., with a maximum depth of 1,645 feet. Lake Tahoe is the 16th deepest lake in the world. It is about 22 miles long and 12 miles wide and has 72 miles of shoreline and a surface area of 191 square miles. Approximately two-thirds of the shoreline is in California with the other one-third in Nevada. Lake Tahoe is fed by 63 tributaries. The Truckee River is the lake’s only outlet flowing northeast through Reno, Nevada, into Pyramid Lake which has no outlet. Vegetation in the basin is dominated by a mixed conifer forest of Jeffery and Lodgepole pines as well as White and Red. August is normally the warmest month at the Lake Tahoe Airport (elevation 6,254 ft.) with an average maximum of 78.7 °F and an average minimum of 39.8 °F. January is the coolest month with an average maximum of 41.0 °F and an average minimum of 15.1 °. During ski season, thousands of people from all over Nevada and California, flock to the slopes for downhill skiing. Heavenly Ski Resort in South Lake Tahoe has a winter adventure park at the top of the Heavenly Village Gondola. Many ski areas around Tahoe also have snow tubing, cross-country skiing, snowmobile riding and snowshoeing. During late Spring to early Fall, the lake is popular for water sports and beach activities. Boating is a primary activity in Tahoe in the summer. The lake is home to one of the most prestigious wooden boat shows in the country, the Lake Tahoe Concours d’Elegance, held every August. There are lake front restaurants all over the lake, most equipped with docks and buoys. There are all sorts of boating events, such as sailboat racing, firework shows over the lake, guided cruises, and more. There are numerous hiking and mountain biking trails around the lake. They range widely in length, difficulty and popularity. One of the most famous of Tahoe’s trails is the Tahoe Rim Trail a 165-mile (270-km) trail that circumnavigates the lake. Directly to the west of the lake is the Granite Chief Wilderness, which provides great hiking and wilderness camping. Also, to the southwest is the very popular Desolation Wilderness. One of the most popular trailheads used to access these popular destinations is Eagle Lake Trailhead, located near Emerald Bay on Tahoe’s west shore. The Flume Trail of the east shore is one of Mountain Biking Magazine’s Top 10 Trails in the U.S. There are also many paved off-road bicycle paths that meander through communities on all sides of the lake. 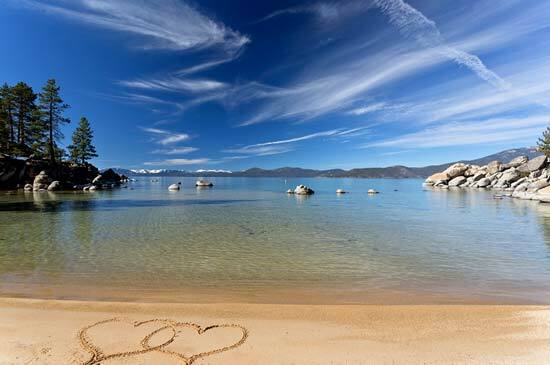 No Matter what you are looking for I am sure you will find it in Lake Tahoe where “Dreams really do come true”. 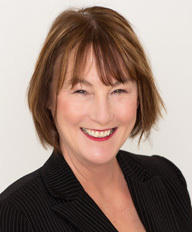 I am looking forward to helping you with all your Lake Tahoe Real Estate needs!